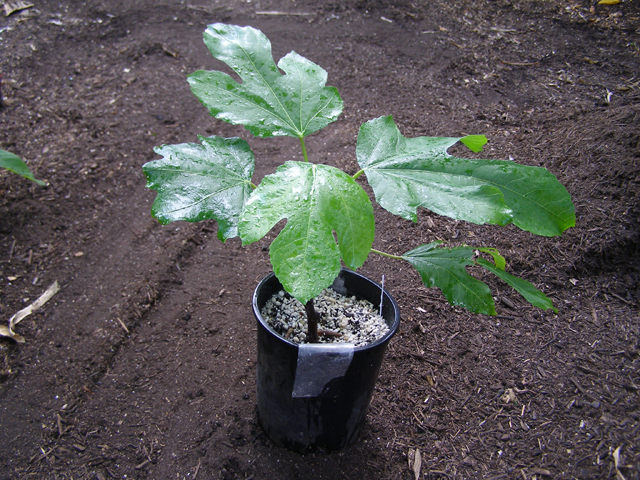 This fig tree was propagated by cutting, it is roughly 2 years old. One of my favorite parts of gardening is propagation, very few situations in our lives affords us an opportunity to truly play God. But in gardening, although the plants sometimes tell us what they want to do, for the most part we get the final say. The idea that every plant can be easily reproduced just boggles my mind, gardening truly has the potential to be the ultimate poor mans hobby. It is safe to say, if I can get my hands on just about any part of a plant, I can, and will propagate it… A very large portion of my garden is made up of plants that I personally propagate in one form or another… Figs happen to be one of my favorite plants to propagate, and probably one of the easiest hardwood cuttings to root. Seeds are typically produced from sexual reproduction within a species, because genetic reproduction has occurred, a plant grown from seeds may have many different characteristics from its parents. Some species produce seeds that require special conditions to germinate, such as cold treatment. Seeds from many plants in the American Southwest require fire to germinate, designed to only germinate after a wildfire has prepared the land. Some plant species, including many trees do not produce seeds until they reach maturity, which may take many years. Seeds can be difficult to acquire and some plants do not produce seeds at all. Plants have a number of mechanisms for asexual or vegetative reproduction. Some of these have been used by gardeners to multiply or clone plants quickly. People also use methods that plants do not use, such as tissue culture and grafting. Plants are produced using material from a single parent, and as such, there is no exchange of genetic material, therefor vegetative propagation methods almost always produce plants that are identical to the parent. 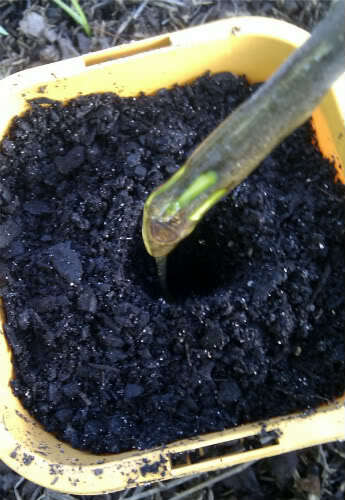 Vegetative reproduction uses plant parts such as roots, stems and leaves. In some plants seeds can be produced without fertilization and the seeds contain only the genetic material of the parent plant. Therefore, propagation via asexual seeds or apomixis is asexual reproduction but not vegetative propagation. Now that you know a few of the basics, we can get into what this post is all about… Propagating figs, or any plant for that matter, as easily and cheaply as possible. I would like to “destroy” the common misconception that this stuff is difficult to do… Honestly, a monkey could prepare cuttings, the hard part is remaining vigilant in the upkeep of the tender cutting while it is attempting to root. Pruning shears, paper towels, water, knife, rooting hormone, growing medium. Simple diagram of what the cuttings should look like, all three of the examples are fine for this purpose. Talk to the neighborhood Italian or fellow gardener, although figs at one time were uncommon, they have become popular in recent years and are no longer that difficult to find. A common misconception is that figs will only root before they have broken dormancy in the spring, I have no problems rooting figs in any life cycle. The time when you acquire the cutting is not nearly as important as how you take care of it. Notice the bark has been carefully scraped away exposing the cambium layer. With a sharp pair of pruning shears, cut the branch at a minimum of 45 degrees being careful to keep the cut clean and free of tears. The reason the cut is at a 45 degree angle is to expose as much inner surface as possible, this is one of the areas most likely to produce roots. Using a very sharp knife or razor blade, carefully remove strips of bark along the bottom 1 or 2 inches of the cutting, this is to expose the cambium layer and create more places for root formation. After completion of the first two steps, I recommend placing your cuttings in a glass of water until you are complete with your prep steps. I occasionally use a powder rooting hormone, this stuff is available at any garden center and is highly recommended. Dump some of the rooting hormone onto a piece of paper, and roll the prepared end of the cutting in the powder shaking off any excess. Do not stick a wet cutting into your container of root hormone, it will introduce moisture into the container and ruin it… Never put the powder you have been using back in the container either, this will also ruin it. Use a medium-sized pot filled with clean potting mix, make a hole in the soil slightly larger than the cutting, and insert. Try to avoid removing any of the rooting hormone from the cutting when inserting it, that is why the hole is slightly larger than the actual cutting. Italian brown turkey fig ready to be planted. Once normal growth resumes, remove the plastic covering. 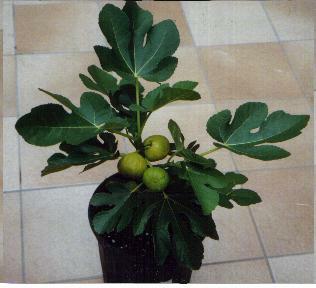 For the first year of your cuttings life it is important to remember that it is extremely fragile, problems that would normally have no effect on an established fig tree, will have fatal consequences. This entry was posted in Gardening, Guerilla Gardening, Permaculture, Practical Urban Permaculture, Trees and tagged asexual, cutting, Fig, fruit, garden, hardwood, permaculture, propagation, rooting hormone, softwood, vegetables. thanks for a great article! you can also use a strong sun-brewed willow tea to help cuttings form roots if you have no rooting hormone.